Glowing in the dark. 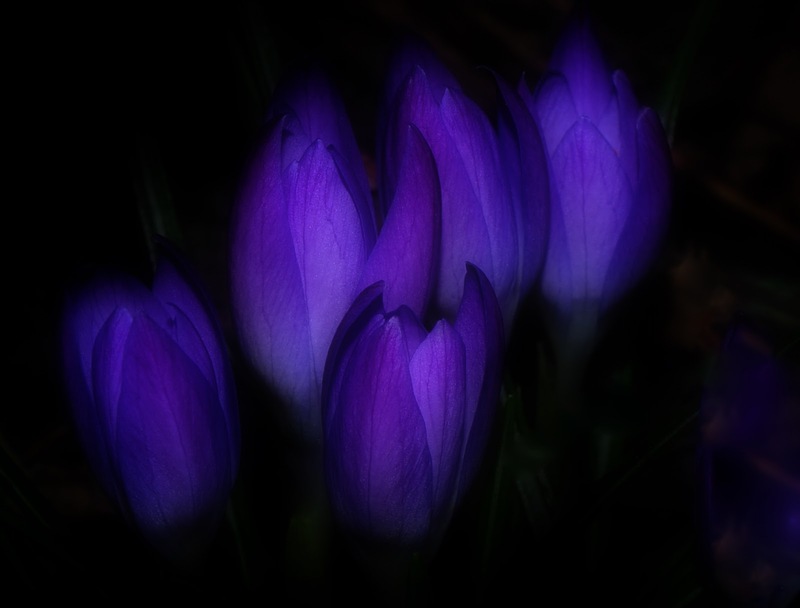 A perfect contrast, enhancing the beauty of that intense purple. Gorgeous. There's a lovely hush in this photo, as if all the world is asleep and the flowers are dreaming. And why the V&A is concerned! Robyn Hitchcock is 60 today!